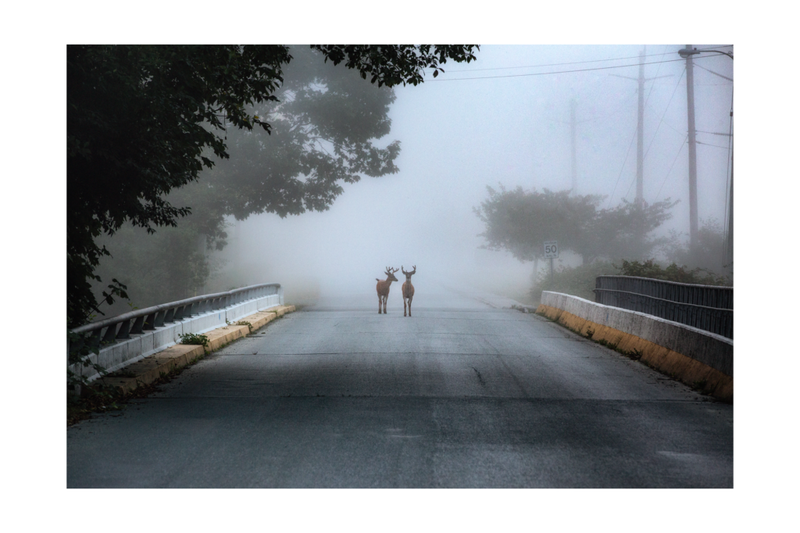 Two young bucks on a morning stroll. Tahsis, British Columbia. August 2017.